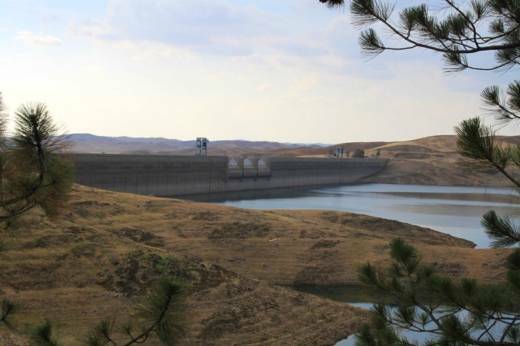 California is close to awarding $2.7 billion to new water storage projects. Jay Lund of U.C. Davis and Rachel Zwillinger of Defenders of Wildlife explain the process and how it will impact the state. In this episode of Deeply Talks, Tara Lohan, managing editor of Water Deeply, talks with Jay Lund, a professor of civil and environmental engineering and director of the Center for Watershed Sciences at the University of California, Davis, and Rachel Zwillinger, water policy adviser for Defenders of Wildlife, about how water storage projects in California are being funded, which projects are receiving state money and what kinds of water projects the state really needs. In 2014, almost three years before the end of California’s drought, state voters approved a water bond, Proposition 1, which set aside $2.7 billion to fund the public benefits of water storage projects. Since last year, the California Water Commission (CWC) has been reviewing project applications to decide how much of this funding each project will get, if any. Decisions will be announced in July. What makes this process unique, says Zwillinger, is the focus on public benefit. Anyone who submitted a proposal for Proposition 1 funding for new storage projects had to quantify the public benefits – such as ecosystem improvements, water quality improvement or flood risk reduction – their project would provide. That number then determines how much funding the project could receive. Still, it could be “quite a few years” before funded projects actually get built, says Lund. Whatever money is allocated to a project will only be a fraction of what it actually needs. Before even starting construction, teams will need to secure the rest of the money from other sources and obtain permits. Getting permits for water projects, particularly surface-water projects like dams, is complex, notes Zwillinger. So complex that a project will often change substantially as it goes through the permitting process, so that some benefits it promises going in may not be realized when it comes out the other side. And that’s a problem. Ultimately, Zwillinger and Lund say that after this process is over, they would like to see the state shift its focus away from water storage and toward other important water issues. According to Lund, California already has more storage projects than any other Western state. Other water projects can have public benefits, too.